Goslings 151 proof Black Seal comes from a long, dark line of Bermuda rums. So, unlike most high octane spirits, it has a deep, rich flavor not overpowered by alcohol burn. This is a muscular but refined rum that’s now widely recognized as the best overproof rum available. Indeed, the International Rum Festival awarded it their coveted Platinum Medal in the Overproof Category. So think of it as the No.1 151. 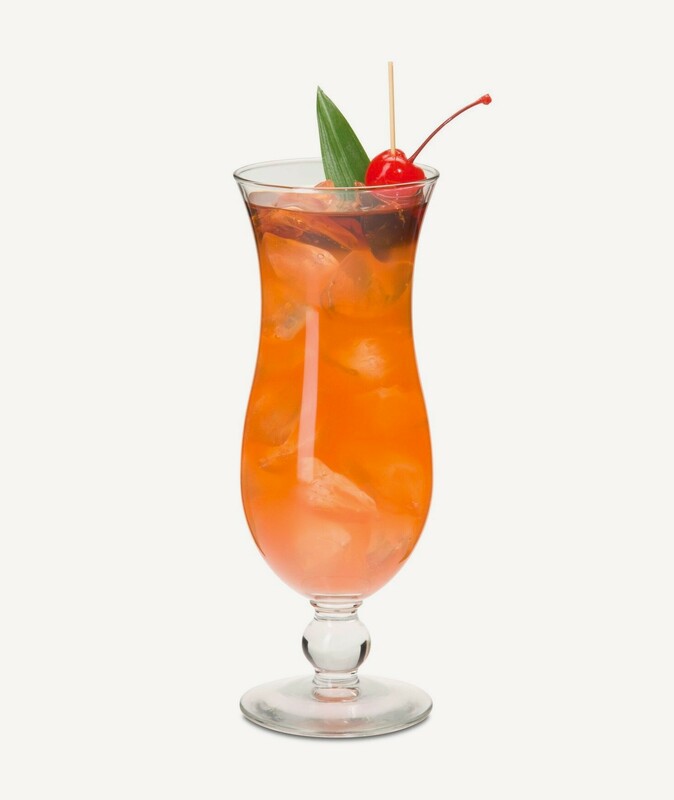 While this lip-tingling beauty is probably a bit potent for most casual sipping, it has a complex taste and unique quality that makes it an ideal complement to any number of exotic libations and classic tiki drinks, as well as any dessert recipe that calls for a little extra flair. Goslings Black Seal 151 Rum is the overproof cousin of Goslings Black Seal Rum, a secret Gosling family recipe that dates back to the 1850's, and Bermuda's #1 export product. Fill a large mixing glass three-quarters with cracked ice. Add everything but the Goslings Black Seal Rum 151 Proof. Shake well and strain into a large Collins or highball glass. Top with Goslings Black Seal 151 Proof. Garnish with a slice of lemon and lime.